Tomatoes are such a staple in Canadian cuisine: tomato sauce on pasta or pizza, as a base for fresh salsa, or in a spicy, fragrant curry. There’s also nothing better than dunking a grilled cheese sandwich into a bowl of creamy tomato soup, or slicing them and eating them fresh on a classic BLT sandwich. 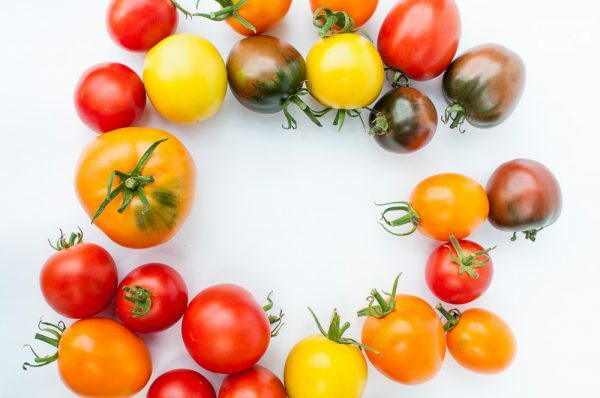 Ontario’s outdoor growing season ranges from July to September, but we are fortunate that locally grown greenhouse tomatoes are readily available even most of the winter months, so our tomato cravings can be cured even when it isn’t the middle of summer. 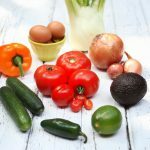 There are so many varieties of tomatoes, but the general categories are globe, beefsteak, Roma (otherwise known as plum tomatoes), pear, cherry, grape, cocktail and Campari. 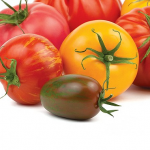 Globe and beefsteak tomatoes are what people envision when you think of a classic tomato, and they are most commonly used in everyday salads and sandwiches. Plum and pear tomatoes are ideal for sauces because of their robust flavor. Cherry, grape (both red and yellow) and cocktail tomatoes are smaller and typically eaten fresh, either in salads or out of hand, because of their small size, bright flavour and juicy texture. Campari tomatoes (or cluster tomatoes) are classified as a cocktail tomato. 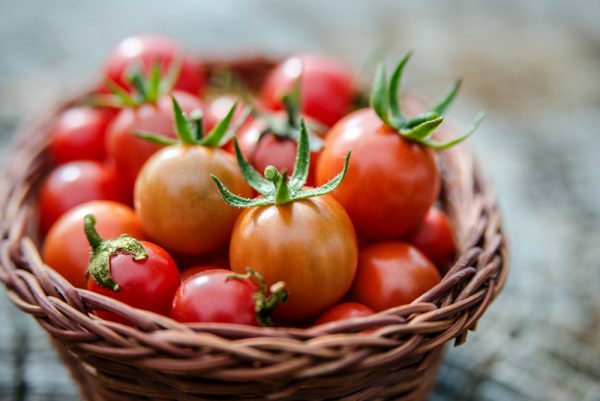 They are larger than a cherry tomatoes, but smaller than a plum tomato, and are hydroponically grown and ripened on a vine, eliminating the need for pesticides. 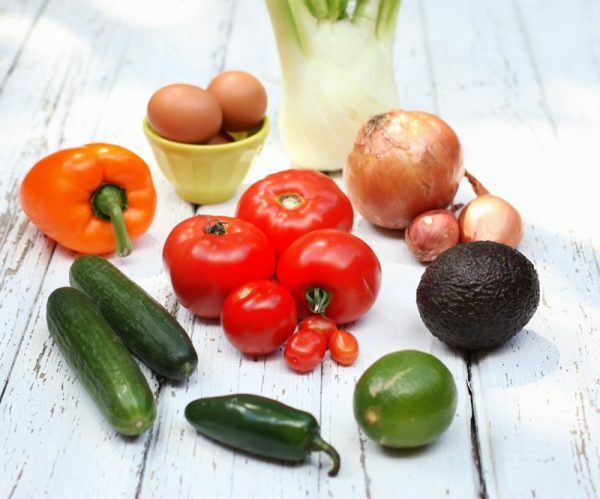 Store them at room temperature in an open basket if they’re ready to eat for up to a week, but if you want them to ripen faster, place them in a paper bag with an apple or an onion. Avoid storing ripe tomatoes in a plastic bag or in the fridge, as the cold causes them to turn mealy and they lose their delicious tomato flavour. They are best enjoyed when served at room temperature. With tomatoes in abundance, many people buy crates of tomatoes to preserve them and enjoy in the off season. 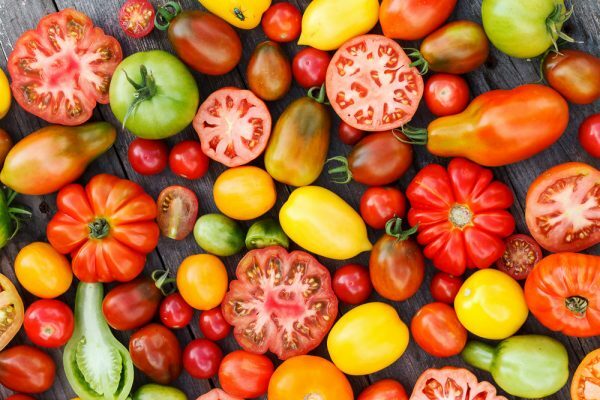 Tomatoes are extremely versatile since they can be eaten fresh, in sauces, soup, salad, or even stir-fry. Always begin preparing tomatoes by washing them in cold water. To prepare tomato slices for sandwiches, slice them horizontally with a very sharp knife (serrated/bread knives are a good choice). 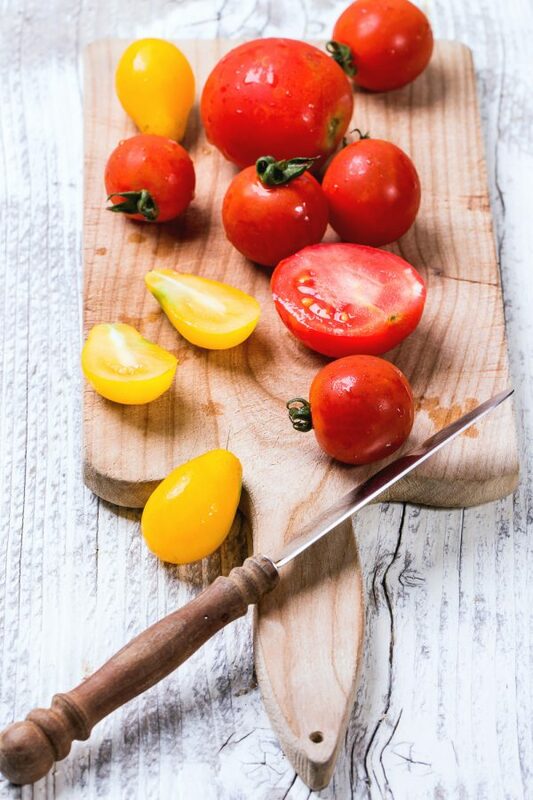 Dull knives may squish tomatoes instead of cleanly slicing through the skin. For soups or sauces, you may want to remove the tomato skin by first scoring the bottom of the tomato with an X, then blanching in boiling water quickly for about 30 seconds. Remove and place immediately in an ice bath. Once blanched, the tomato skins loosen and are easily peeled off; now they’re ready for use in sauces or soup. 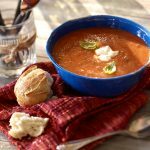 Balance the natural acidity of tomato in recipes with either a pinch of salt or sugar or even a bit of baking soda, especially in soup. If you’re making tomato soup, it’s always a fun chemical reaction to share with the kids: let them sprinkle in baking soda and stir it in to see it bubble and foam. If you have an abundance of tomatoes in the summer, preserve them by canning. 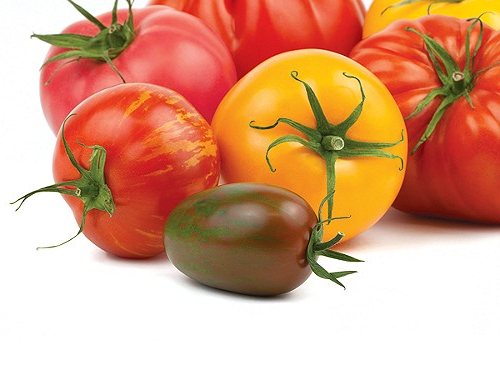 Beefsteak tomatoes are the largest in size, and are quite wide and squat with substantial weight. Many have thin skins, giving them a short shelf life so be sure to consume them quickly after purchasing. 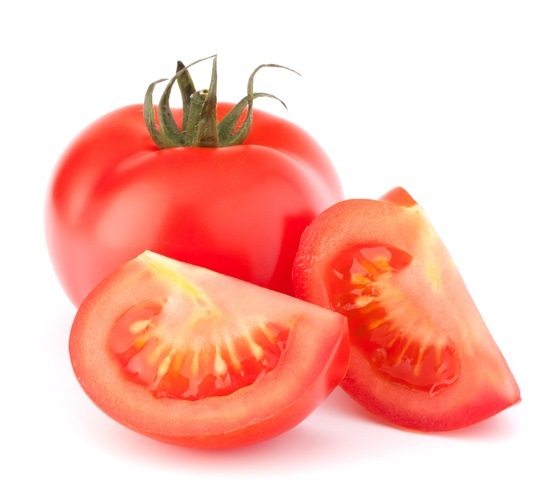 Indicative of their bright red hue, tomatoes are high in lycopene, which is reported to be an antioxidant that helps your body eliminate free radicals. 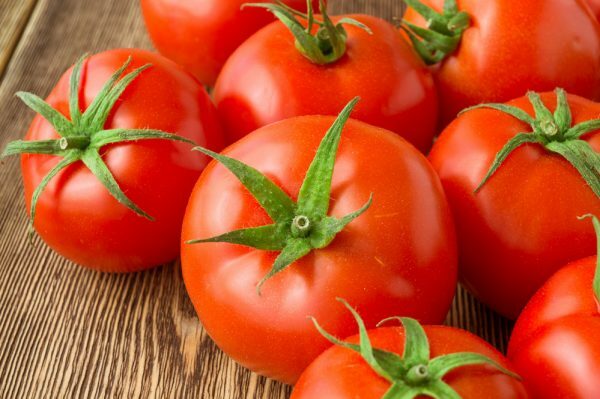 One medium tomato has only 22 calories but packs 26% of your daily Vitamin C, 20% of Vitamin A, 12% of Vitamin K, and is also a source of potassium, manganese, fibre and iron. 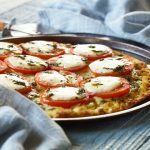 All about Tomatoes in the Produce Made Simple Kitchen!